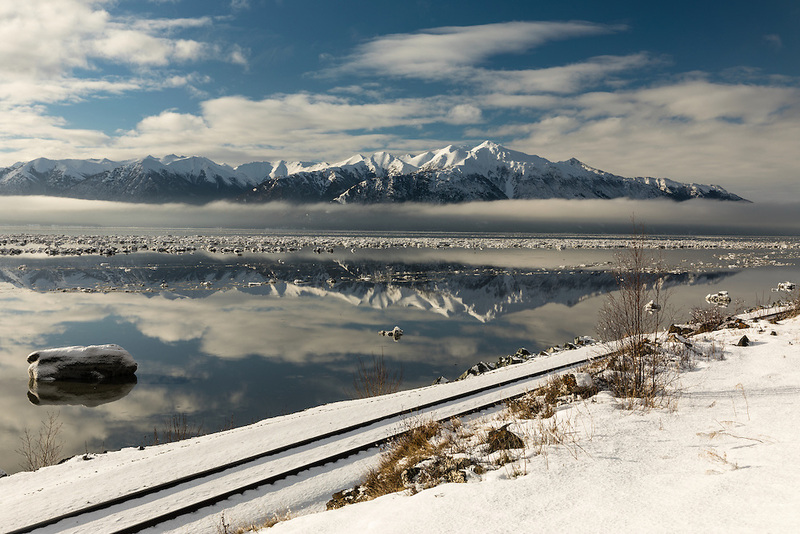 Icebergs break up the reflection of the Kenai Mountains in Turnagain Arm at high tide in Southcentral Alaska. Winter. Afternoon.